I visited Palakkad, Kerala to stay at Kairali the Ayurvedic Healing Village. 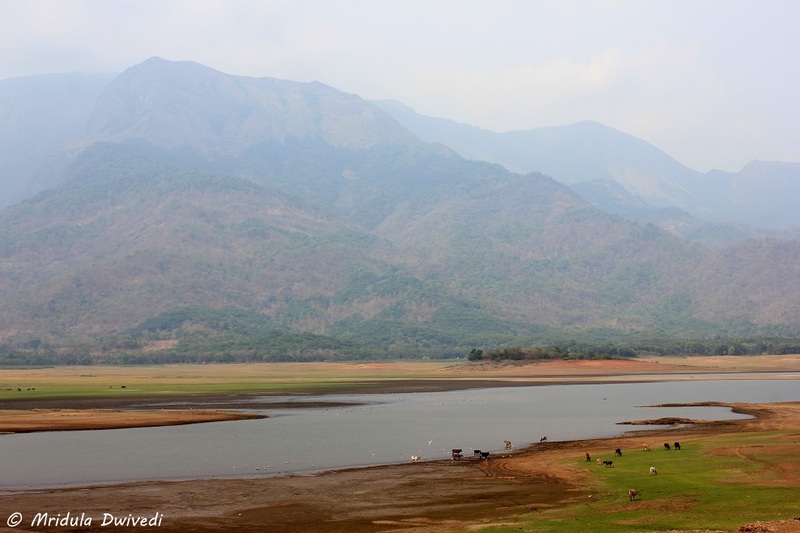 It is at the outskirts of the Palakkad town. It was a tranquil place. I also visited the local market of Palakkad for spices, chips and coffee! So this is once again show it in pictures post! I was sitting on a porch when I heard the cackle of the Golden Orioles. It had to be that one time when the camera bag was in my room. I ignored the birds for a few minutes. But then their call was simply irresistible. I ran back to my room, got the camera and got the bird! 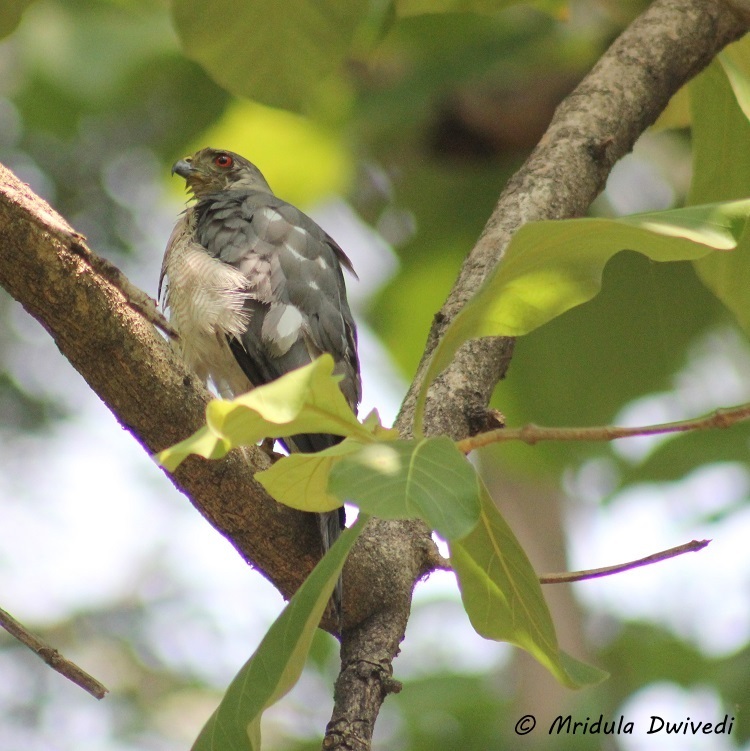 Shikra- A Bird of Prey! Quite close to the Golden Oriole was a Shikra. 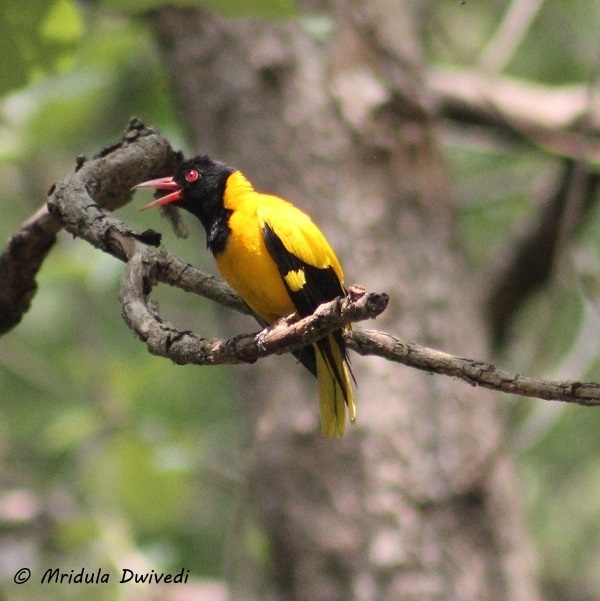 Surprisingly the oriole would fly teasingly close to the Shikra, which is a bird of prey. Finally both of them got bored and flew away into the trees beyond the reach of my camera. 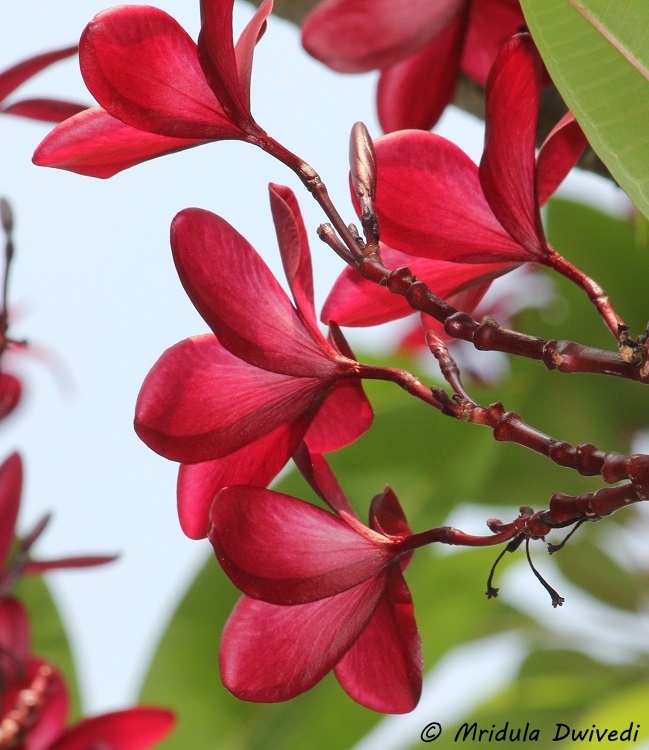 The magenta Frangipani was fiercely in bloom at Kairali. I have the exact same tree at home as well. We visited the Malampuza dam near Palakkad. We skipped the garden visit as it was a blistering hot day. We went on a drive around the surrounding areas instead. In cooler weather it will make for a nice picnic spot. 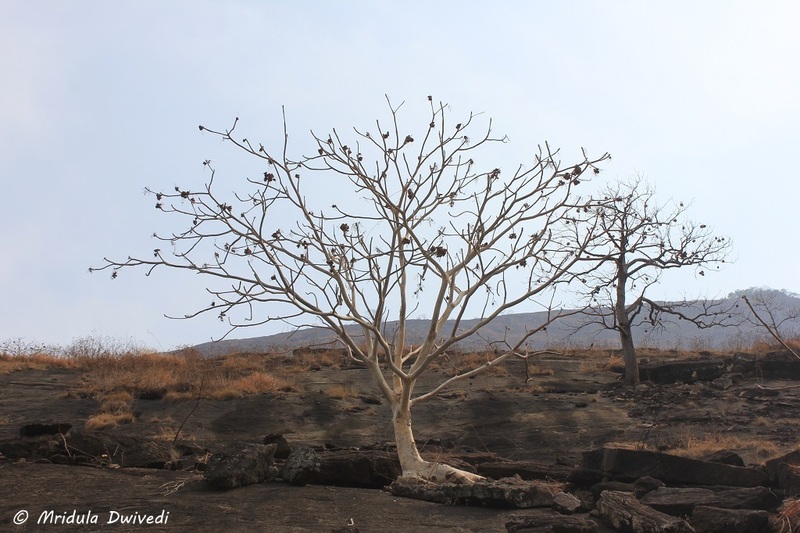 While my group members waited in the car, I walked a short distance to click the bare landscape. Everyone seems to be waiting for the monsoon! 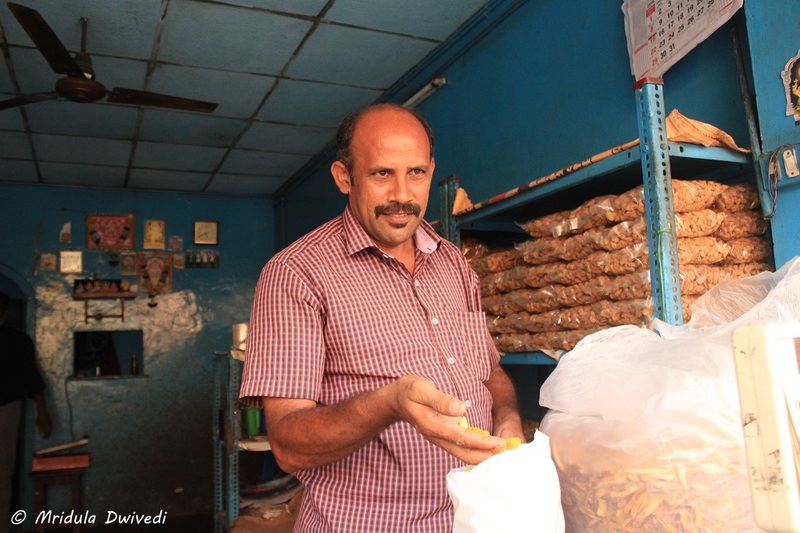 He was responsible for frying the delicious chips (I bought a few packets) at Karthik’s Chips Shop in the local Palakkad Market. And yes in his case the looks are deceptive! Where the Chips Get Fried! Sometimes people react favorably to a camera. They took me inside the shop so I could see the place. 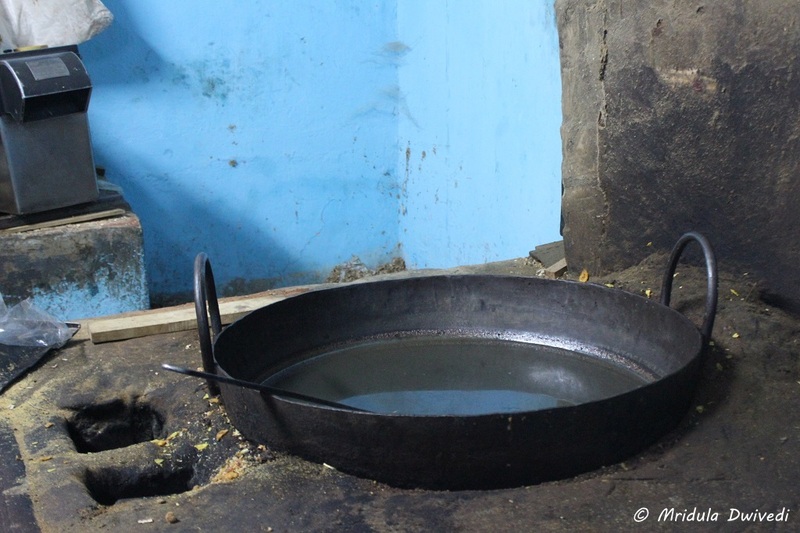 This was the giant kadhai where the chips were fried! 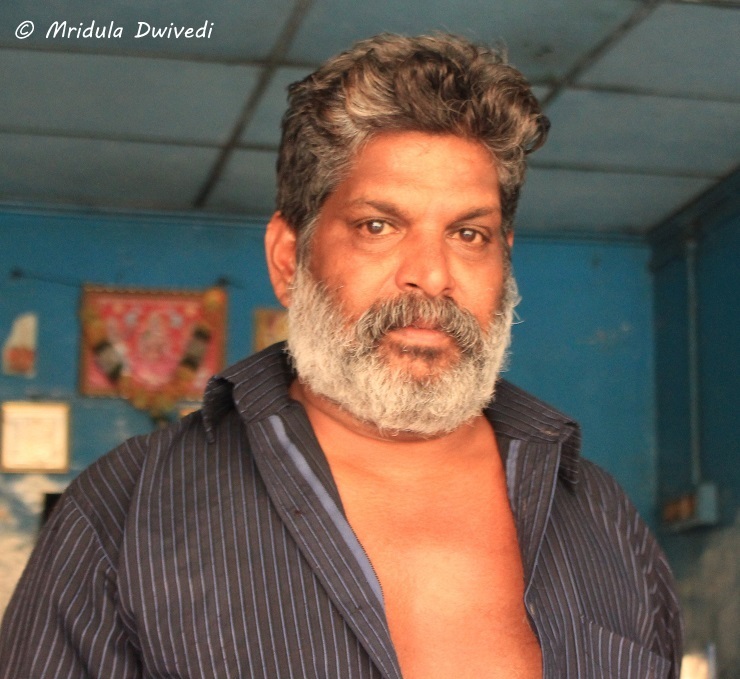 I close the post with a picture of Karthik’s dad. He named the shop after his son. He was a soft spoken person, ever ready to let you taste all kind of exotic chips had!